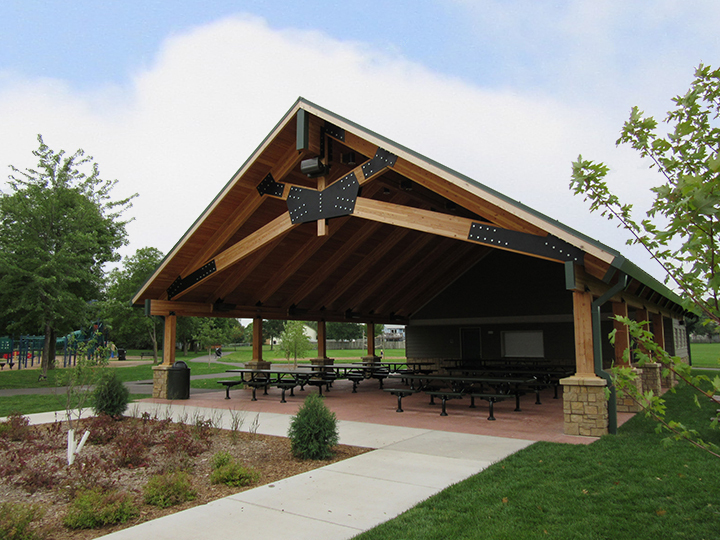 Andrews Park — OERTEL ARCHITECTS, LTD. 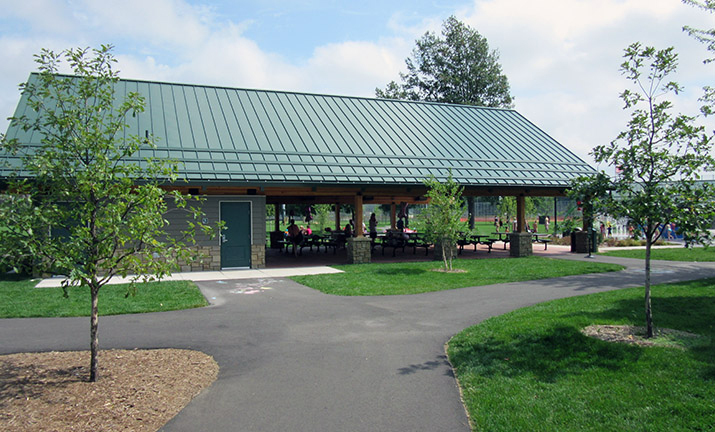 This project added two new structures to a large and heavily used existing park in the city of Champlin. 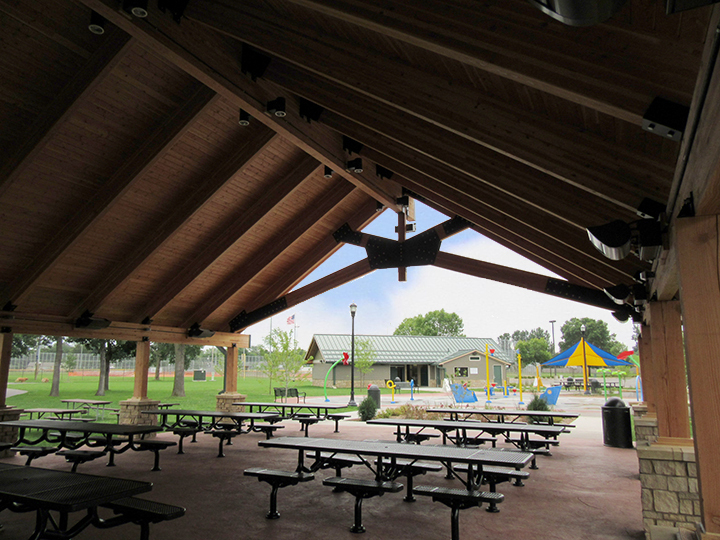 The new structures include restrooms, meeting spaces and sheltered outdoor areas that will serve a new splash pad and existing playground at one of the parks’ three activity hubs. In addition to the new splash pad, there is an existing dog park, basketball courts, volleyball courts, picnic areas, and baseball fields. As the park is unsupervised, the building and trail layout was designed to be intuitive and easy to navigate. The design team also focused on using durable, and sometimes replaceable, materials at the exterior of the buildings. Heavy timber, decorative block, wood siding and trim, and steeply pitched roofs were used at both buildings. The existing trees and vegetation played an intricate role in the park’s overall identity and character, to the point where some of the public developed a personal attachment with particular areas of the park. The design team worked with city staff and the public to reduce or eliminate the impact of new development.